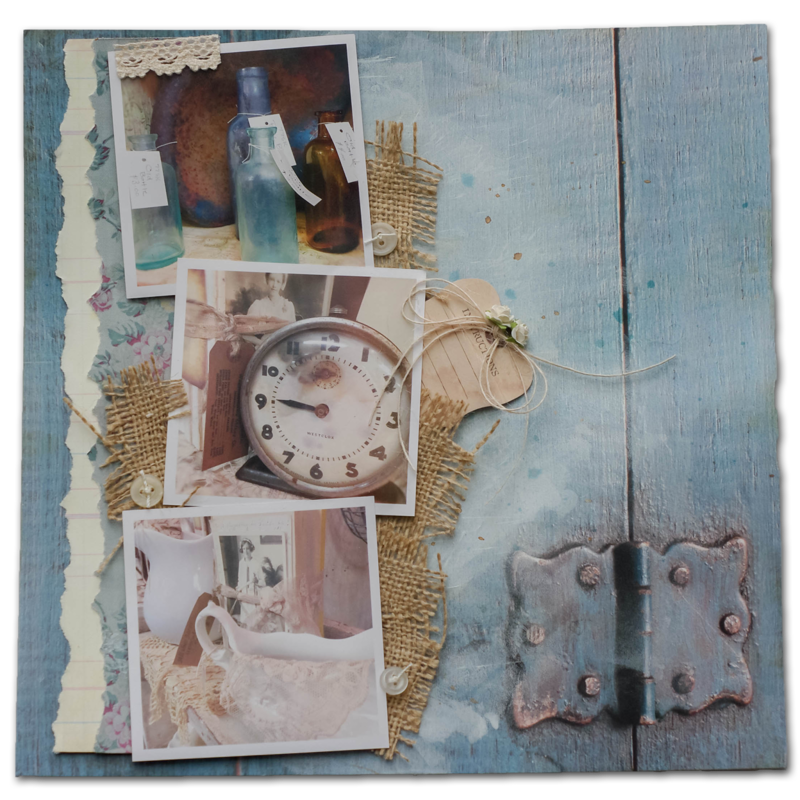 I am excited to be sharing a beautiful layout using Really Reasonable Ribbon products. On this layout, I wanted the photos of one of my many antiquing adventures to be center stage. I used the beautiful Deep Ivory Open Roses and the Burlap Natural String on the tag. I love the versatility of the Burlap Natural String. It can be layered with ribbons, small enough to add a sweet bow to small flowers or all on it's own. Next I added another one of my favorite laces, the Debra Natural Crochet Lace. I finished with adding small amounts of burlap and vintage buttons. Sometimes the little accents make big impacts. Hope you are inspired to add a few accents to your next layout or creative project.